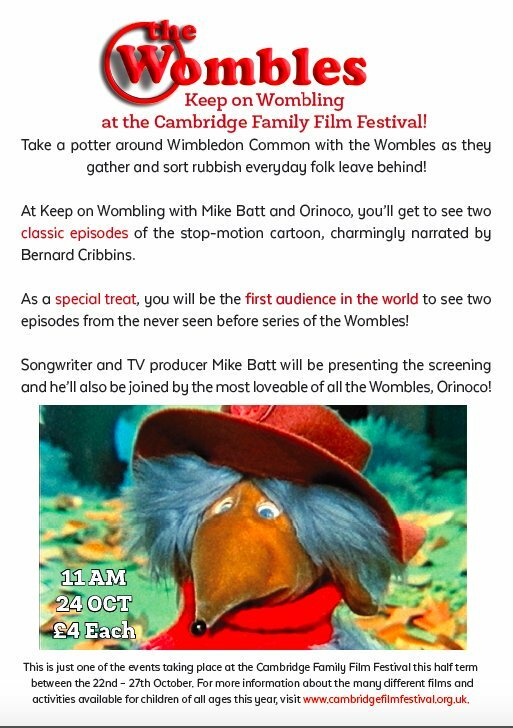 Mike Batt will be appearing at the Cambridge Film Festival on Monday 24 October. He’ll show two brand new episodes from the forthcoming Wombles TV series for the very first time, and answer questions about the return of The Wombles. Two classic episodes will also be screened as a warm-up. The half-term event is part of the Family Film Festival strand, at 11am at the Arts Picturehouse. Tickets are £4 per person, with a £1.50 booking fee per order.